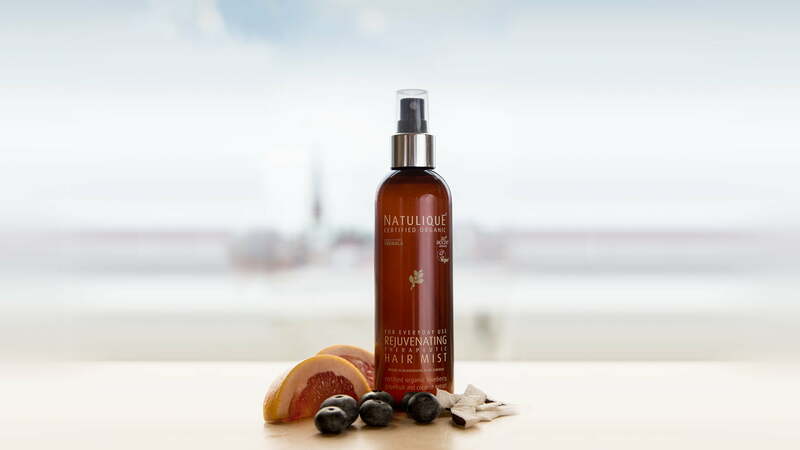 Denmark, 16 February 2018: To support their everyday fight against dull hair, NATULIQUE now provides hairdressers with a new, vigourous weapon: The therapeutic Hair Mist with 99 percent organic and natural ingredients. Whether it’s been a long and stressful day or a short and sleepless night – everyday life leaves its marks not only on our bodies, but also on our hair. An often seen consequence by hairdressers is the dull hair of their clients. To assist them in this challenge, NATULIQUE has now created the rejuvenating, therapeutic Hair Mist. “Our hair mirrors how we feel inside. Every woman knows those stressful and exhausting days, when the hair just looks dull. Personally, I always take the Hair Mist with me, to freshen up my hair whenever it needs a little extra energy”, she says. To support its soothing and calming effect, the mist spreads a fresh and natural fragrance. “To me the scent is like a forest walk in spring. Relaxation kicks in immediately”, says professional hairstylist and NATULIQUE employee Kathja Bjeeregaard. As an everyday therapy to use in both the salon and to take home, the Hair Mist promotes health from scalp to tips. Apart from complying with the 360BIOCERT ORGANIC standard it is also alcohol-free and certified vegan. The high concentration of antioxidants and vitamins from vigourous ingredients such as Aloe Vera, Cloudberry or Grapefruit strengthens and energizes the hair naturally. A unique blend of Bilberry, Coconut Water and Wheat Germ restores youthful vigour and makes dull hair a thing of the past. On top of this, the Hair Mist has a detangling effect and boosts capillary circulation. As a truly Danish original, the newest NATULIQUE family member also contains root extracts from one of our favourite treats: Liquorice. Its flavonoid, glycosides and volatile oils protect the hair against sun damage, dandruff, split ends and hair loss. The therapeutic, rejuvenating Hair Mist is in stock and now available at our collaborating distributors.